Pinworm infections are highly contagious. They can easily be transmitted among household members. Tiny pinworm eggs that are accidently transferred to the hands, onto clothing or around the house can reinfect household members. Reinfestation can occur through inadvertently swallowing pinworm eggs or through inhaling eggs that are in the air. 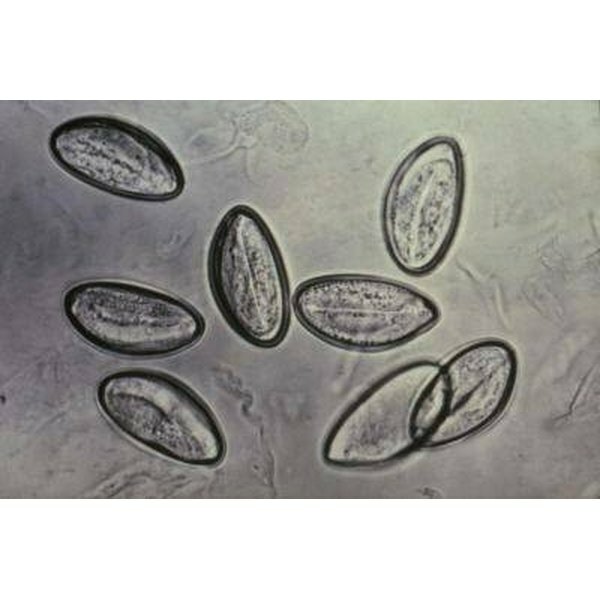 According to the Center for Disease Control, pinworm eggs survive away from the body for two to three weeks. Controlling a pinworm infection involves taking medication prescribed by a physician to kill the pinworms and preventing reinfection. Practicing regular hand washing and housecleaning can significantly reduce the likelihood of pinworm reinfestation. Shower each morning to remove pinworm eggs from the body. A shower is preferable to a bath, because there is a possibility of pinworm contamination from eggs floating in the bath water. Clean the shower thoroughly after use. Clip fingernails short to prevent the likelihood of pinworm eggs becoming trapped under the fingernails. Wash hands regularly with soap and warm water. Remember to wash hands after using the bathroom, before touching your face and before touching food. Wash all clothing in warm or hot water. Pay special attention to wash underclothing, which is commonly contaminated with pinworm eggs. Wear disposable gloves when handling clothing to prevent hand contamination. Wash all bedding in warm or hot water. Do not shake bedding or you could release pinworm eggs into the air where they could be inhaled. Wear disposable gloves when handling bedding to prevent hand contamination. Vaccum and mop all floors daily. Wash walls and counter surfaces with warm water and a mild soap. Clean toilet seats after every use. Human pinworms (Enterobius vermicularis) are not the same worms that infect pets.